Anytime of the year is a good time for Gogo squeeZ, but it’s even sweeter at Valentine’s Day! As an ambassador for GoGo squeeZ, we’re excited to share this cute idea for a quick and free printable Thanks for Being Applesauce that’s easy for valentines class treats or even party favors. I admit one of my favorite things about my kids going to school are the holiday parties. I just love those cute little foodie treats for the class parties, but unfortunately, all that sugar is no good for them (or for me). 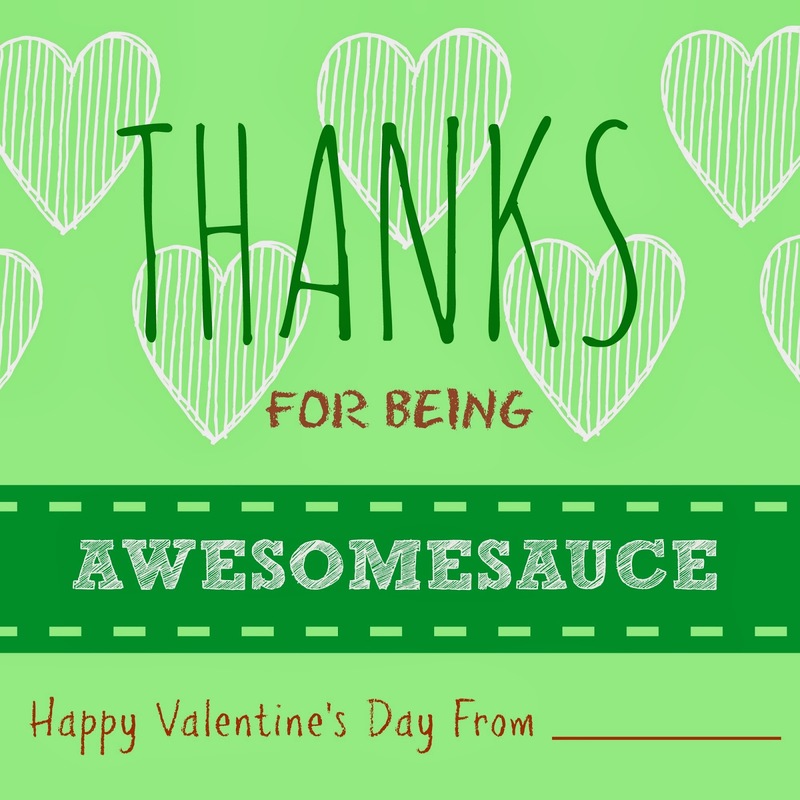 That’s why I came up with this cute printable to be used with pouches of healthy GoGo squeeZ for a Valentine that is quick, easy and that your children will LOVE! We love GoGo squeeZ around here, so I’m constantly coming up with new and fun ways to use it! From pancakes, muffins and Valentine’s treats, they make the perfect compliment to healthy snacking that’s convenient, delicious and full of nutrition! With 11 different flavors in all, GoGo squeeZ is the natural, no gluten, no dairy, no nuts, no mess way to get what you need, when you need it with just a squeez! Just check out some of the fun things that we’ve used GoGo squeeZ for around here. This downloadable prints six per page and could be printed on sticker paper or card stock with a hole punch affixed with ribbon tied around the top. There’s also a line for your child’s name. I’ve used these for playdate treats as well as birthday party favors that doesn’t cost much time or money. 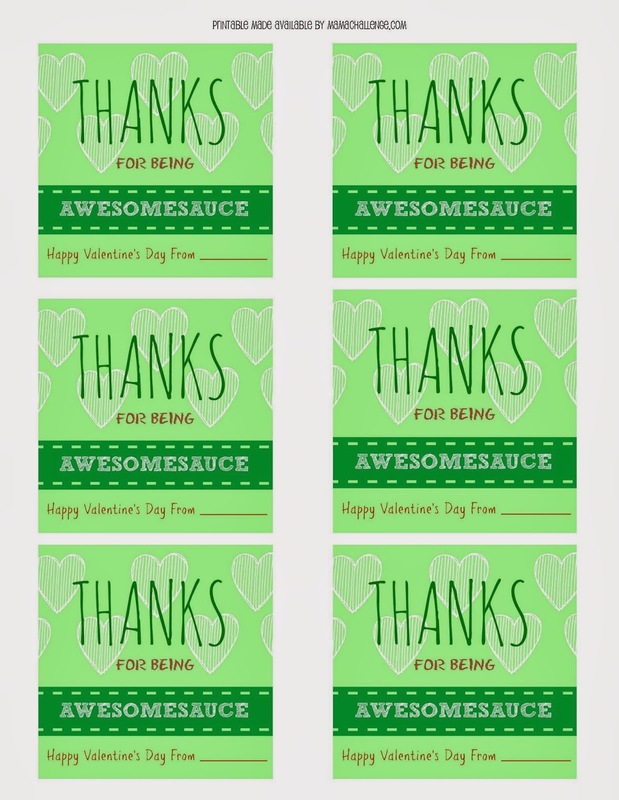 I hope you think these are awesomesauce as well! Thank you SO much for sharing this idea + free printable!! Just printed them out to use for my son’s class Valentine’s! These are super cute! I love them, so much better than candy! I found you on SITS! What a clever Valentine (: Thanks for linking up this week! This is awesome! I am printing and using it this year. A HUGE awesomeness thanks for the printable link 😀 (smooches). thank you so much for the link!!! !